20140623/ note: This project was part of my solar and terrestrial blog related to the peak of the 26. 11 year sun spot cycle in 2013 . Since these activities/ fluctuations are significantly decreasing now, volcano activity in the single collapsible panels on this page will NO MORE be updated The page will be cobr tinued as a source for general information .Visit th the Smithsonian page to get information on current worldwide volcano current activities! no more be updated The page is ther ... be patient- this page with its large map will need some time to load..
ABOUT SOTARA: ( Smithsonian institute):Geologic Summary. Volcán Sotará, also known as Cerro Azafatudo, is a little-known andesitic-dacitic stratovolcano located about 25 km SSE of Popayán city in southern Colombia, SW of Puracé volcano. Three calderas, 4.5, 2.5, and 1 km in diameter, are found on Sotará, giving the summit an irregular profile. No historical eruptions are known from Sotará, however the volcano currently displays fumarolic and hot spring activity. The Indian name for "la ciudad perdida" ( the lost city) is Teyuna . The Indians believe, the ancient cirty ways build by their forbears, the Tairona- The ruins of the city consist out of 200 ovial and round terraces on different levels, those are connected to each other by even and particularly steep stone pathes . Ingapirca ECU 2° 32' S/ 78° 52' W unknown Cuzco By the Spanish Conquista named as the castillo. Ingapirca is the most important Precolumbian archeological site of Ecuador. Similar to Machu Pichu or Cuzko, it is built out of great worked stones which fit in and stabilise another just by their shapes. As other ancient cities in Central and South America it has as well a Sun temple as Sun and Moon observatories and must therefore origin from the same culture and age. The main round building of the city was named by the spanish Conquista as "Castillo" . The real meaning of that building is not known yet. Rumicucho Ruins By pre Inca tribes called the city " real middle of the World"
ancient Inca city on the montain with the same name. As all cities of this perharpy most ancient civilisation period of South America Machu Picchu is made out of large granit stones which fit into another without any concrete . The site also contains typical cultural institutions such as a Sun and Moon temple and at least one observatory place. Much about MP is still unknown esp how the city was built, when and by whom exactly. The Nasca lines are since Eric v Däniken published his theories about extraterrist visits in the past , maybe one ofe the most discussed ancients sites on the world. Discovered by the Western archeologists in the 20th of the 20th century , the entire site covers a region of around 500 square kilometers with 8 great figures carved into the upper stone layer of the desert. those are only visible form an airplane reps. form a higher standpoint above. The site became world famous first by the work of the German Maria Reiche, who lived in N asca for more than thirty years until she died 1998 in Lima. The place contains also many other geometric forms straight lines and ramps with a length of up to 20 km. Meanwhile, many ancient ruins were excavated nearby to the lines. The understanding of the site does reach from a ritual place to a sports center up to a landing place of Ufos in ancient times ( Däniken) , where also possibly stone was won for several ancients sites around , whereby theses straight ramps where worked ionto the former mountains and hills . ancient site nearby to the Nasca lines with 6 step pyramids and 40 other buildings s, built out of clay bricks on an area of 25 square kilometer . Cahuáchi is regareded as the cultural center of the former Nasca culture. Viracocha the English meaning of the name is " storage of my god"
ABOUT NEVADO DE HUILA: (Geologic Summary by global volcanism program/ Smithsonian inst. ): Nevado del Huila, the highest active volcano in Colombia, is an elongated N-S-trending volcanic chain mantled by a glacier icecap. The 5364-m-high andesitic-dacitic volcano, the highest peak in the Colombian Andes, was constructed within a 10-km-wide caldera. Volcanism at Nevado del Huila has produced six volcanic cones whose ages in general migrated from south to north. The high point of the complex is Pico Central. Two glacier-free lava domes lie at the southern end of the Huila volcanic complex. The first historical eruption from this little known volcano was an explosive eruption in the mid-16th century. Long-term, persistent steam columns had risen from Pico Central prior to the next eruption in 2007, when explosive activity was accompanied by damaging mudflows. ABOUT NEVADO DEL RUIZ : (Geologic Summary by global volcanism program/ Smithsonian inst. ):Nevado del Ruiz is a broad, glacier-covered volcano in central Colombia that covers >200 sq km. Three major edifices, composed of andesitic and dacitic lavas and andesitic pyroclastics, have been constructed since the beginning of the Pleistocene. The modern cone consists of a broad cluster of lava domes built within the summit caldera of an older Ruiz volcano. The 1-km-wide, 240-m-deep Arenas crater occupies the summit. The prominent La Olleta pyroclastic cone is located on the SW flank, and may also have been active in historical time. Steep headwalls of massive landslides cut the flanks of Nevado del Ruiz. Melting of its summit icecap during historical eruptions, which date back to the 16th century, has resulted in devastating lahars, including one in 1985 that was South America's deadliest eruption. 2013 JU- 08 JULY- 16? Servicio Geológico Colombiano’s (SGC) Observatorio Vulcanológico and Sismológico de Manizales reported that during 8-14 July gas-and-steam plumes rose 600 m above Nevado del Ruiz’s crater and drifted NW. Sulfur dioxide emissions were significant. Seismicity was dominated by volcano-tectonic signals. The earthquakes were located NE, S, and SW of Arenas Crater; the largest was a M (local) 2.1 located SW of Arenas Crater at a depth of 3.4 km. Shallow seismicity associated with fluid movement occurred S and SE of the crater. During 11-12 July continuous volcanic tremor associated with emissions was detected; ashfall was reported in Los Nevados Natural Park and in some parts of Manizales (30 km NW). The Alert Level remained at III (Yellow; "changes in the behavior of volcanic activity"). 2013 APR 13 Apr- 16? INGEOMINAS reported that during 13-14 April seismicity associated with fluid movement beneath Nevado del Ruiz was detected along with volcano-tectonic earthquakes. The earthquakes were located NW of Arenas Crater at depths between 5 and 9 km; the largest was a M 2.6, felt by officials of Los Nevados National Park in the area of Brisas (50 km SW). During the early morning of 14 April webcams recorded a gas-and-ash plume that rose 630 m and drifted NW. On 15 April a M 3 volcano-tectonic earthquake was located NW of Arenas Crater at a depth of 6.6 km. Later that day a M 2.5 volcano-tectonic earthquake was located again NW of Arenas Crater at a depth of 5.78 km. On 16 April at 0714 a M 3.2 earthquake was located in the same area at a depth of 6.22 km. Earthquakes continued to be felt by officials in the National Park. A gas-and-steam plume rose 1 km above the crater and drifted SW. Sulfur dioxide emissions were significant and deformation was detected. The Alert Level remained at III (Yellow; "changes in the behavior of volcanic activity"). 2012 JULY 04 Sep- 11? INGEOMINAS reported that during 4-10 July seismicity at Galeras indicated continuing gas emissions; sulfur dioxide levels were moderate. The emissions, observed by a network of video cameras, contained some ash during 4-5 July. The Alert Level remained at III (Yellow; "changes in the behavior of volcanic activity"). According to INGEOMINAS, the Observatorio Vulcanológico and Sismológico de Manizales reported that on 22 May a seismic signal possibly indicated an ash emission from Nevado del Ruiz, though it was not confirmed due to poor weather conditions. On 29 May activity significantly increased; at 0307 seismic signals indicated ash emissions that were confirmed by officials and residents near the volcano as well as with a web camera. The Alert Level was raised to II (Orange; "eruption likely within days or weeks"). A gas-and-ash plume rose 1 km above the crater and ashfall was reported in Anserma (65 km NW), Aranzazu (45 km NNW), Chinchiná (30 km WNW), Dosquebradas (40 km W), Filadelfia, La Merced (60 km NNW), Manizales (30 km NW), Marmato (70 km NNW), Neira (37 km NW), Palestina (40 km WNW), Pereira (40 km WSW), Risaralda (78 km WNW), Salamina (60 km NNW), San José (56 km NW), Santagueda (40 km NW), Santa Rosa de Cabal (33 km W), Supia (72 km NNW), Villamaria (28 km NW), and Viterbo (65 km WNW). Ash also fell in all municipalities in the department of Risaralda (76 km WNW) and El Aguila (85 km W, N of Valle del Cauca). Sulfur dioxide plumes were detected by satellite and a sulfur dioxide odor was reported in multiple towns. Later that day ash emissions rose 600 m above the crater. 2012 APR 11 MAY- 08? According to INGEOMINAS, the Observatorio Vulcanológico and Sismológico de Manizales reported that seismicity at Nevado del Ruiz decreased during 11-15 April then slightly increased during 16-17 April. Earthquakes were located below or N of Arenas crater at depths of 1.5-2 km during 11-12 April. Earthquake events at 1146 and 1149 on 15 April were possibly associated with ash emissions which were not verified due to weather conditions. Earthquakes detected on 16 April occurred E of Arenas crater at depths of 1.5-4 km. Gas-and-steam plumes were observed mainly in satellite imagery, by cameras located near the volcano, and from the city of Manizales (25 km NW). On 12 April a sulfur odor was reported in the towns of Lebanon, Palocabildo, and Fresno (Tolima). Observes in Manila reported a gas-and-steam plume that rose 1.8 km above the crater on 16 April. The Alert Level remained at II (Orange; "eruption likely within days or weeks"). INGEOMINAS reported a significant increase in seismicity at Nevado del Ruiz during 5-11 March. On 8 March scientists aboard an overflight observed a gas plume that rose 1.4 km above Arenas crater, originating from multiple emission sources and thermally anomalous areas within the crater. They noted ash deposits on the glacier, near the crater rim and on the E flank, likely from an explosion on 22 February. Later that day a small explosion detected by the seismic network produced an ash emission that was observed with a camera installed in La Piranha (NW). Increased sulfur dioxide emissions were also detected. Fieldwork revealed ash deposits at the headwaters of Gualí River, SW of Arenas crater. Reventador is the most frequently active of a chain of Ecuadorian volcanoes in the Cordillera Real, well east of the principal volcanic axis. The forested, dominantly andesitic Volcán El Reventador stratovolcano rises to 3562 m above the jungles of the western Amazon basin. A 4-km-wide caldera widely breached to the east was formed by edifice collapse and is partially filled by a young, unvegetated stratovolcano that rises about 1300 m above the caldera floor to a height comparable to the caldera rim. It has been the source of numerous lava flows as well as explosive eruptions that were visible from Quito in historical time. Frequent lahars in this region of heavy rainfall have constructed a debris plain on the eastern floor of the caldera. The largest historical eruption took place in 2002, producing a 17-km-high eruption column, pyroclastic flows that traveled up to 8 km, and lava flows from summit and flank vents. ABOUT REVENTADOR: ( Smithsonian institute): Reventador is the most frequently active of a chain of Ecuadorian volcanoes in the Cordillera Real, well E of the principal volcanic axis. It is a forested stratovolcano that rises above the remote jungles of the western Amazon basin. A 3-km-wide caldera breached to the E was formed by edifice collapse and is partially filled by a young, unvegetated stratovolcano that rises about 1,300 m above the caldera floor. Reventador has been the source of numerous lava flows as well as explosive eruptions that were visible from Quito in historical time. Frequent lahars in this region of heavy rainfall have constructed a debris plain on the eastern floor of the caldera. 2014 MAR 25 APR 15? IG reported that activity at Reventador increased on 25 March. At 1830 an explosion was followed by a pyroclastic flow that traveled 500 m down the flanks. Strombolian activity produced gas-and-ash plumes that rose 1.5 km above the crater. During 26-29 March continuous tremor was interspersed with explosions and long-period earthquakes. Although cloud cover often prevented crater views, video cameras showed a lava flow traveling down the S flank and incandescent material erupting from the crater. Emissions with small amounts of ash rose 1 km on 28 March. Ashfall was reported in Hosteria El Reventador and camp San Rafael on the flanks. A load roar reported at 0300 on 31 March was followed by observations of incandescent material traveling 1 km down the S flank. Cloud cover prevented visual observations the next day. 2013 OCT 23? OCT 05? During 30 October through 5 November, IG reported that moderate activity from Reventador continued. Elevated seismicity included explosions (8-35 per day), long period earthquakes, and tremor related to emissions and fluid movement in the crust (harmonic tremor). Plumes of steam were frequently observed when the weather permitted; ash plumes were generated on 31 October, 2 November, and 5 November. Ashfall from these events reached the town of San Rafael on 31 October and 2 November; a pilot observed ash on 2 November at an altitude of 6.7 km (22,000 ft). Observers heard roaring noises and sounds resembling "cannon shots" on 31 October and 1 November. IG reported that seismicity remained elevated at Reventador during 18-24 September. Although cloud cover often prevented observations, ash plumes were occasionally observed. On 19 September an ash plume drifted W, and on 21 September multiple low-energy steam emissions contained small amounts of ash. Deposits from a pyroclastic flow that had descended the S flank were observed on 22 September. 2013 SEP 04 SEP- 10? IG reported that seismicity remained elevated at Reventador during 4-10 September. Although cloud cover often prevented observations, ash plumes were occasionally observed rising from the lava dome. On 6 September IG staff observed 1-km-long deposits from a pyroclastic flow that had descended the S flank after an explosion. Ash plumes rose 1-2 km above the lava dome during 6-7 September, and minor ash emissions were noted on 9 September. 2013 AUG- 09 AUG- 13? IG reported that during 7-8 August explosions at Reventador ejected incandescent material onto the SW flank. Steam emissions were observed on 8 and 9 August, and on 10 August they contained ash and rose 1 km above the crater. Cloud cover prevented observations during 11-13 August; roaring was reported on 13 August. 2013 JULY- 10 JULY- 31? IG reported that during 10-16 July seismic activity at Reventador was high; weather conditions mostly prevented visual observations of the crater. During partially clear views on 13 July, observers noted a new lava flow on the S flank. At 1500 on 15 July continuous tremor was detected, which intensified at 2000, and then decreased at midnight. Intense Strombolian activity during this time was characterized by variable-magnitude explosions and roaring. Explosions generated blocks that rolled down the flanks. Incandescence from the lava flow on the S flank was observed. 2013 JUNE- 01 JUN 25? The Washington VAAC reported that on 1 June gas emissions from Reventador possibly contained diffuse ash. Ash was not detected in satellite images. 2013 MAY- 01 MAY- 14?? 2013 APR- 12 APR 16? According to the Washington VAAC, on 12 April an ash plume from Reventador was observed in visible satellite images along with a corresponding thermal anomaly in short wave infrared images. IG reported that the seismic network at Reventador recorded multiple explosions during 12-17 March. Observers reported falling and rolling incandescent material on the S flank on 12 March. Explosions produced ash plumes that rose more than 1 km and drifted SW. The next day ash plumes rose as high as 3 km. On 15 and 17 March explosions were detected by the seismic network; cloud cover prevented visual observations. On 16 March an ash plume rose 1 km and drifted W.
2013 MAR- 02 MAR- 05? According to the Washington VAAC, the IG reported that on 2 March lava flows were observed, and a gas-and-ash plume rose to an altitude of 4 km (13,000 ft) a.s.l. and drifted SW. About an hour later a pilot observed an ash plume that rose to the same altitude. No ash plumes were identified in satellite imagery, however a weak thermal anomaly was observed during 2-3 March. 2013 JAN- 22 FEB- 12? IG reported that during 16-21 January seismicity at Reventador was moderate; cloud cover prevented visual observations. Incandescence in the crater was observed at night during 21-22 January. Starting at 0900 on 22 January seismicity at Reventador increased and was characterized by constant low-frequency, high-energy tremor detected by seismic stations around the volcano. Observers reported lava fountains in the crater and lava flows on the flanks, both of which became more intense at 1800. Explosions produced white-to-light-gray plumes that rose 2 km and drifted W.
2012 DEC- 05 DEC- 11? IG reported that seismicity at Reventador was high during 5-11 December and indicated multiple explosions almost daily. Plumes were observed although cloud cover often prevented visual observations. On 5 December a steam plume rose 1.5 km and drifted NW. The next day a steam-and-ash plume rose 2 km above the lava dome and drifted SE. A steam-and-ash plume rose 1 km on 8 December and drifted WSW, towards Chaco. Another steam-and-ash plume was observed on 11 December. 2012 NOV 23 NOV- 27? The IG reported that although cloud cover often prevented observations of Reventador, plumes were observed almost daily. During 31 October-1 November and 3 November plumes rose 1.5-3 km above the crater and drifted NW. At about 0400 on 5 November a steam-and-ash plume rose 3 km. An ash plume rose 2 km and drifted NW at 0600. On 9 November, IG reported that since February Reventador began a new phase of activity characterized by lava flows from the crater, steam plumes, and thermal anomalies detected in satellite images. The lava flows traveled as far as 2 km down the N and S flanks, and steam plumes rose 200-500 m above the crater. Field visits by volcanologists in recent months confirmed that the lava dome in the crater had continued to grow above the rim, becoming the highest point of the volcano. Blocks from the lava dome and lava-flow fronts rolled down the flanks. IG noted that during 3-4 November emissions increased; a steam-and-ash plume rose 3 km above the crater. The seismic network detected an increase in the magnitude of volcanic tremor. Steam-and-gas plumes contained ash within the previous few days. According to the Washington VAAC, the IG reported that on 9 November an ash emission from Reventador rose to an unknown height. On 13 November a gas-and-ash plume rose to an altitude of 5.2 km (17,000 ft) a.s.l. and drifted SE. Ash was not detected in satellite imagery on either day. 2012 SEPTEMBER- 20 SEP- 25? Based on analysis of satellite imagery, the Washington VAAC reported that an ash plume from Reventador drifted 22 km SW on 20 September. 2012 AUGUST- 11 Aug- 14? Based on analysis of satellite imagery, the Washington VAAC reported a possible ash emission from Reventador on 11 August. The next day a well-defined thermal anomaly was detected and an ash plume drifted W. According to the VAAC, IG confirmed the ash plume, noting that it rose to an altitude of 5.2 km (17,000 ft) a.s.l. IG reported that on 18 April a plume with low ash content rose 2 km above Reventador's crater and drifted NW. A steam plume rose 100 m above the crater the next day. Weather conditions prevented observations during 20-23 April. 2012 MAR- 25 MAR 27? IG reported that during 21-25 March storm clouds prevented observations of Reventador. During 25-26 March incandescence from a high part of the volcano was observed. On 26 March a steam emission rose 500 m above the crater. Based on analysis of satellite imagery and seismic data, the Washington VAAC reported that an ash plume drifted 25 km NNW on 26 March. Later that day the ash had dissipated and seismicity decreased. IG reported that during 10-13 February new activity from Reventador was detected. Satellite images showed a thermal anomaly on 10 February. Based on pilot observations, the Washington VAAC reported an ash plume that rose to an altitude of 5.2 km (17,000 ft) a.s.l. and drifted NW. On 11 February ash-and-steam emissions drifted NW. Seismicity increased on 12 February and a lava flow descended the NE flank during 12-13 February. Crater incandescence was observed during 10-13 February. 20122 JAN- 06 JAN- 11? IG reported that staff conducting fieldwork at Reventador during 6-7 January observed constant emissions of gas-and-steam rising about 300 m above the crater and drifting WNW. The emissions originated from a growing lava dome that was a few tens of meters above the crater rim and almost filled the base. 2011 Jul14/Aug 03 AUG- 09? The IG reported that scientists conducting an overflight of Reventador on 14 July noted that the lava dome at the top of the 2008 cone continued to grow, filling the crater. The dome had reached the same height as the highest part of the crater rim, formed during 2002. Intense fumarolic activity produced continuous plumes. The dome was thought to have formed during 2011, growing at a rapid rate and producing high temperatures. IG also noted that seismicity had increased starting in May but was more pronounced during the previous few weeks. During 3-9 August cloud cover prevented observations of the lava dome, but the seismic network detected long-period and explosion-type earthquakes. Based on a pilot observation, the Washington VAAC reported that on 4 January an ash plume from Reventador rose to an altitude of 5.2 km (17,000 ft) a.s.l. Cloud cover prevented clear satellite observations of the volcano. A subsequent report stated that IG noted low seismicity, no reports of ashfall, and that satellite imagery showed no ash emissions. Uturuncu, the highest peak of SW Bolivia, displays fumarolic activity, and postglacial lava flows were noted by Kussmaul et al. (1977). Inspection of satellite images of the 6008-m-high peak, located SE of Quetana, did not show evidence for postglacial activity (de Silva and Francis, 1991). Andesitic and dacitic lava flows dominate on Uturuncu, and no pyroclastic deposits were observed during recent field work. Although young lava flows display well-preserved flow features, youthful-looking summit lava flows showed evidence of glaciation. Two active sulfur-producing fumarole fields are located near the summit, and large-scale ground deformation was observed beginning in May 1992 (Pritchard and Simons, 2002), indicating, along with recently detected seismicity, that a magmatic system is still present. Researchers from several universities are essentially working as geological detectives, using a suite of tools to piece together a restive South American volcano peak's past in order to understand what it is doing now, and better diagnose what may lie ahead. It's a mystery they've yet to solve. Uturuncu is a nearly 20,000-foot-high (6,000 meters) volcano in southwest Bolivia. Scientists recently discovered the volcano is inflating with astonishing speed. Researchers realized about five years ago that the area below and around Uturuncu is steadily rising — blowing up like a giant balloon under a wide disc of land some 43 miles (70 kilometers) across. Satellite data revealed the region was inflating by 1 to 2 centimeters (less than an inch) per year and had been doing so for at least 20 years, when satellite observations began. "It's ONE OF THE FASTEST UPLIFTING VOLCANIC AREAS ON EARTH. What we're trying to do is understand why there is this rapid inflation, and from there we'll try to understand what it's going to lead to." The peak is perched like a party hat at the center of the inflating area. "It's very circular. It's like a big bull's-eye." Scientists figured out from the inflation rate that the pocket of magma beneath the volcano was growing by about 27 cubic feet (1 cubic meter) per second. "That's about 10 TIMES FASTER THAN THE STANDARD RATE of magma chamber growth you see for large volcanic systems." However, no need to flee just yet, the scientists said. "It's not a volcano that we think is going to erupt at any moment, but it certainly is interesting, because the area was thought to be essentially dead." Uturuncu is surrounded by one of the most dense concentrations of supervolcanoes on the planet, all of which fell silent some 1 million years ago. Supervolcanoes get their name because they erupt with such power that they typically spew out 1,000 times more material, in sheer volume, than a volcano like Mount St. Helens. Modern human civilization has never witnessed such an event. The planet's most recent supervolcanic eruption happened about 74,000 years ago in Indonesia. "These eruptions are thought to have not only a local and regional impact, but potentially a global impact." It appears that local volcanoes hoard magma for about 300,000 years before they blow — and Uturuncu last erupted about 300,000 years ago. "So that's why it's important to know how long this has been going on." Uturuncu itself is in the same class as Mount St. Helens in Washington state, but its aggressive rise could indicate that a new supervolcano is on the way. Or not. Tungurahua, a steep-sided andesitic-dacitic stratovolcano that towers more than 3 km above its northern base, is one of Ecuador's most active volcanoes. Three major edifices have been sequentially constructed since the mid-Pleistocene over a basement of metamorphic rocks. Tungurahua II was built within the past 14,000 years following the collapse of the initial edifice. Tungurahua II itself collapsed about 3000 years ago and produced a large debris-avalanche deposit and a horseshoe-shaped caldera open to the west, inside which the modern glacier-capped stratovolcano (Tungurahua III) was constructed. Historical eruptions have all originated from the summit crater, accompanied by strong explosions and sometimes by pyroclastic flows and lava flows that reached populated areas at the volcano's base. Prior to a long-term eruption beginning in 1999 that caused the temporary evacuation of the city of Baños at the foot of the volcano, the last major eruption had occurred from 1916 to 1918, although minor activity continued until 1925. 2014 APR 02 APRIL 29? IG reported that seismicity at Tungurahua steadily increased from 2-4 April. On 2 April two small explosions, at 0757 and 2305, were accompanied by roaring and incandescent blocks rolling down the flanks. The second explosion ejected incandescent blocks and produced an ash plume that rose 600 m. Ashfall was reported in Cotaló (8 km NW) and Chacauco (NW). Although cloud cover often prevented visual observations, an ash plume generated by an explosion at 1455 on 4 April rose 2 km above the crater and drifted SW; ash fell in Choglontus (SW). On 4 April an explosion at 1810 lasted five minutes and generated pyroclastic flows that descended the NW and N flanks. An ash plume rose 10 km above the crater and drifted SW. Another explosion at 1816 lasted four minutes and possibly generated pyroclastic flows. Tephra up to 7 cm in diameter fell in Cusúa (8 km NW) and Píllaro. Constant tremor continued, interspersed with explosions. Strombolian activity was observed during the morning of 5 April. Steam-and-gas emissions with small amounts of ash rose less than 1 km and drifted W. At 1040 an ash plume rose 2 km. On 6 April ash plumes drifted W, and Strombolian activity ejected material that was deposited 1.5 km down the flanks. Ashfall was reported on 7 April in Bilbao (W) and Cevallos (23 km NW). On 8 April steam emissions with some ash rose 200 m and drifted SW. Minor ashfall was reported in Bilbao, El Manzano (8 km SW), Juive (7 km NNW), Mocha (25 km WNW), El Manzano. Large lahars descended the Achupashal (NW) and Confesionario drainages (WSW). IG reported that activity at Tungurahua was at moderate levels during 5-11 March; cloud cover occasionally prevented observations. Two explosions during 5-6 March were felt in local areas, and at the Tungurahua Observatory (OVT) in Guadalupe (14 km N). Ashfall was reported in El Manzano (8 km SW) and Palictahua. An explosion on 6 March generated an ash plume that rose 2 km and drifted NE. On 8 March ash plumes rose as high as 2 km and drifted W and NW. The next day an ash plume rose 1 km and drifted NE; ashfall was reported in Minsa. IG reported that during the morning of 30 January the seismic network recorded an increase in the number of events at Tungurahua including some low-magnitude explosions, long-period events, and seismic tremor. Ashfall was reported in Pungal (40 km SSW), Penipe (15 km SW), and Palictahua in the district of Penipe. Cloud cover prevented ground observations, but IG noted that satellite images indicated the presence of ash plumes and thermal anomalies. The number and size of explosions increased at night during 30-31 January, and then a sharp decline in activity was noted on 31 January, characterized by very low seismicity. At 1701 an explosion generated an ash plume that rose 2 km and drifted SE and SW. On 1 February, between 0800 and 1700, a swarm of volcano-tectonic earthquakes occurred in the upper conduit. Two moderately-sized explosions, at 1712 and 1732, generated ash plumes that rose 5 km, and pyroclastic flows that traveled 500 m down the NE and NW flanks. A larger explosion at 1739 produced an ash plume that rose 8 km and drifted SE and possibly SSE. Based on reports from IG, satellite images, pilot observations, web-camera images, and the Guayaquil MWO, the Washington VAAC reported that the ash plume rose to an estimated altitude of 13.7 km (45,000 ft) a.s.l., and drifted S at high altitudes and SW at lower altitudes. IG noted that pyroclastic flows traveled 7-8 km, reaching the base of the volcano and traveling over the Achupashal Baños- Penipe highway. Continuous ash-and-gas emissions followed; ash fell in multiple areas and total darkness was reported in Chacauco (NW). Explosions occurred every minute and vibrated structures in local towns. Pyroclastic flows descended the SW, W, NW, and NE flanks, and stopped short of towns and infrastructure. Ash emissions were sustained through the rest of the evening, and Strombolian explosions ejected incandescent blocks 800 m above the crater that fell and rolled 500 m down the flanks. Activity gradually declined at 1900 until 2100 when explosions became more sporadic. On 2 February explosions at 0659, 0723, and 0801 were followed by ash emissions. During 2-3 February at least 10 explosions occurred and were heard in areas several kilometers away. On 3 February an ash plume rose 4 km and drifted N, reaching Quito as a mist of suspended very fine material that lingered most of the day. 2013 OCT- 06 NOV- 12? IG reported that after a 3-month lull in activity at Tungurahua, a new eruption that began on 6 October was characterized by increased seismicity, Strombolian activity that ejected incandescent blocks, and ash plumes that produced ashfall in nearby areas. Seismicity peaked on 11 October and high-level ash plumes again produced ashfall in nearby towns. The number of explosions increased on 14 October and two small pyroclastic flows traveled a few hundred meters the next day. 2013 JULY- 14 AUG- 13? IG reported that seismic activity at Tungurahua was at low levels during 10-11 July, increased to moderate levels on 12 July, and increased again to moderate-to-high levels on 13 July; the number and type of events gradually and constantly increased. Cloud cover prevented visual observations of the crater. A total of 266 long-period events were recorded from 1500 on 13 July through the time of a large explosion at 0647 on 14 July, which was heard in areas as far as Guayaquil (about 180 km SW). At 0651 an ash plume generated by the explosion rose 5.1 km above the crater and several significant pyroclastic flows descended the Achupashal ravine (NW). Continuous tremor was detected until 0840, and then seismicity dramatically decreased. At 0842 the plume rose to 8.3 km above the crater and drifted N, W, and S. At 0930 the plume drifted N and was observed drifting over the E parts of Quito (130 km N). Heavy amounts of ash and tephra fell in areas near the volcano including Bilbao (W, 4 cm diameter), Chacauco (NW, 5 cm diameter), Cotaló (8 km NW), Cahuají (8 km SW), Choglontus (SW), El Manzano (8 km SW), Puela (8 km SW), and Penipe (15 km SW); thinner deposits were reported in towns including Pelileo (8 km N), Ambato (31 km N), Cevallos (23 km NW), Colta (45 km SW), Guanujo (65 km WSW), and Guaranda (65 km WSW), and in the cantons of Guano (30 km SW), Valencia, Empalme, Buena Fé, and areas in the province of Manabi (180 km NW). According to news articles, over 200 people were evacuated from Cusua, Chacauco, and Juive. On 15 July steam plumes were observed rising from the crater during times of better visibility. Long-period earthquakes and tremor were detected during 15-16 July. Ashfall was reported in El Manzano on 16 July; cloud cover continued to prevent observations of the crater. 2013 APR 27 MAY- 22? IG reported that during 24-26 April activity at Tungurahua was low. On 27 April seismic activity increased; an ash plume rose 2 km above the crater and drifted NW, causing ashfall in Juive (7 km NNW). During the morning on 28 April steam-and-ash plumes rose 1-4 km and drifted at least 100 km SW and W. Later that day several explosions produced ash plumes that rose as high as 3.5 km and drifted W. Ashfall was reported in Baños (8 km N), Chacauco (NW), Bilbao (8 km W), Cusúa (8 km NW), Juive, Pondoa (8 km N), and Pillate (8 km W). At 1830 a steam-and-ash plume rose 5 km, and drifted SW and then W. Another explosion ejected incandescent blocks that fell on the flanks 400 m below the crater. During breaks in cloud cover on 29 April dark gray emissions were observed drifting ESE. Ashfall was reported in El Manzano (8 km SW), Cahuají (8 km SW), Puela (8 km SW), Penipe (15 km SW), and Riobamba (30 km S). An explosion caused structures to vibrate. On 30 April explosions produced ash plumes that rose 1.5-2 km and drifted WSW. 2013 FEB- 28 APRIL- 02? IG reported that seismicity at Tungurahua increased on 28 February. The next day an increase in the number of long-period earthquakes was accompanied by small explosions, roaring, and ash emissions. At around 1600 on 1 March a plume of water vapor and gas containing small amounts of ash rose a few hundred meters above the crater and drifted WNW. Ashfall was reported in areas on the SW flank including Choglontús (SW) and Manzano (8 km SW). On 2 March an explosion at 1106 produced noises from blocks rolling down the flanks. Instruments detected deformation on the NW flank. Cloud cover during 1-2 March inhibited visual observations. At night during 2-3 March incandescent blocks were ejected from the crater and rolled 300 m down the flanks. Seismicity again increased on 3 March. Ash plumes rose from the crater and produced ashfall in Manzano and Penipe (15 km SW). Cloud cover prevented views on 4 March, however ashfall was reported in Manzano. On 5 March explosions produced an ash plume that rose 1-1.5 km above the crater and drifted W.
On 3 January, IG reported that since 31 December seismicity at Tungurahua had decreased, and during 2-3 and 7-8 January there were no explosions, noises, or reported ashfall. One small explosion was detected on both 4 and 5 January. An explosion on 6 January was accompanied by roaring and sounds of rolling blocks. Minor ashfall was reported in Manzano (8 km SW). Cloud cover had often prevented visual observations during 31 December-8 January. 2012 DEC 12 DEC- 25? IG reported that on 1 December there was 47 mm of rainfall on the upper E and NE flanks of Tungurahua, generating lahars that descended the Vazcún drainage on the N flank. Seismic stations began recording signals representing the lahars at 1556, and by 1605 contingency plans were activated to warn people downstream. People at the resort of El Salado had been evacuated by the time the lahars reached the area. The lahar was 6 m deep, carried blocks 1-3 m in diameter, and covered drinking water tanks in some areas. Seismicity at Tungurahua reported by IG increased during 12-14 December. A large explosion at 1435 on 14 December produced a "cannon shot" sound and shook the ground. An ash-and-steam plume rose 6-7 km and drifted NW. Pyroclastic flows traveled down the SW flank. The Washington VAAC reported that an 11-km-wide detached ash plume was observed in satellite imagery drifting 17 km SE. On 15 December IG reported that an explosion was followed by an ash-and-gas plume that rose 2 km above the crater and drifted S and SE. Small amounts of ash fell in Runtún (6 km NNE). On 16 December a large explosion generated ash plumes that rose to a maximum height of 7 km and contained lightning. Other explosions generated ash plumes that rose 2 km. Satellite imagery showed ash plumes drifting 140 km NW, and 110 km NE at an altitude of 7.9 km (26,000 ft) a.s.l. Tephra fell in Cotaló (8 km NW), Pondoa (8 km N), Runtún, and Pillate (8 km W), and coarse ash fell in Baños (8 km N), Vascún, and Ulba (NNE). Medium-to-fine-grained ash fell in Palitahua (S), Choglontús (SW), Manzano (8 km SW), Capil, Guadalupe Observatory (11 km N), Cevallos (23 km NW), Tisaleo (29 km NW), Ambato (31 km NW), Patate (NW), Píllaro, Pelileo (8 km N), Salcedo, and Pujilí Latacunga, Rio Verde, Agoyán, and Palora. The larger explosions during the morning produced "cannon shots" that broke a window in a local building, and were followed by pyroclastic flows that descended the SW and NW flanks. During 16-17 December incandescent blocks were ejected from the crater and rolled down the flanks. On 17 December satellite images showed ash plumes drifting 50-130 km NE, and a dense ash plume drifting over 200 km NE at an altitude of 7 km (23,000 ft) a.s.l. A thermal anomaly was also detected. IG noted that explosions continued to generate ash plumes, but with progressively decreasing ash content. Ash plumes drifted NNE and NE, causing ashfall in communities downwind. According to a news article, some of these communities were evacuated. The VAAC noted that a thermal anomaly was detected on 18 December. Ash plumes drifted 70 km W and 40 km SW. IG reported that seismicity remained elevated, and two pyroclastic flows traveled at most 3-4 km down the flanks and burned vegetation. Explosions rattled structures and ejected incandescent blocks. Ash plumes rose 2-3 km above the crater and drifted NW, W, and SW. Ash fell in multiple areas, and accumulated between 1 and 2 mm during 17-18 December in Juive (7 km NNW). 2012 AUG- 16 SEP/ 04? IG reported that on 15 August three small explosions from Tungurahua were detected along with continuous tremor. An ash plume rose 1 km above the crater and drifted W, producing ashfall in El Manzano (8 km SW) and Pillate (7 km W). Activity increased the next day, characterized by increased tremor, roaring sounds, and instances of vibrating windows. An ash plume again rose 1 km, drifted W, and produced ashfall in El Manzano and Pillate. On 17 August two long periods of tremor associated with emissions were detected; 10 explosions were also recorded. Periodic clear views of the crater showed continuous steam-and-ash plumes rising 1.5-3 km above the crater and drifting WNW. Ash fell in Pillate and Bilbao (8 km W). Activity significantly increased at 2100, and strong explosions were detected. Cloud cover prevented visual observations. In the morning of 18 August, satellite images showed a 50-km-long plume drifting NW. A pyroclastic flow deposit on the NW flank was observed with a thermal camera. Steam-and-ash plumes rose 1.5 km and drifted WNW; ashfall was reported in Choglontús (SW), Pillate, and San Juan de Pillate (9 km W). Strong glow from the crater was observed at night, along with incandescent blocks rolling down the top of the cone. A pyroclastic flow descended the NE flank, and a lava flow on the N flank traveled 500 m. Activity remained elevated on 19 and 20 August; continuous tremor indicating emissions was detected, along with nine explosions on 19 August and five on 20 August. Steam-and-ash plumes rose 1.5-2 km and drifted W and SW. Ash fell in Pillate, Igualata (20 km W), El Santuario, Hualpamba, Cevallos (23 km NW), Quero (20 km NW), Mocha (25 km WNW), Santa Anita, and Tisaleo (29 km NW). Roaring sounds were heard and explosions vibrated windows. Strombolian activity ejected incandescent blocks that landed a few hundred meters away. An overflight on 20 August revealed an 80-m-wide inner crater that contained lava. Blocks had accumulated at the headwaters of streams on the SW, W, and NW flanks. According to a news article, 110 families were evacuated. On 21 August 16 large explosions were detected and again caused windows to vibrate. Strong "cannon shots" were heard in areas as far as Ambato (40 km NW), Riobamba (30 km S), and Milagro, though roaring noises decreased in intensity and duration compared to the previous few days. Ash plumes rose 1.5-5 km and drifted W, and a pyroclastic flow traveled 2.5 km down the NW flank. G reported that, although visual observations of Tungurahua during 14-20 March were mostly limited due to cloud cover, steam plumes were noted on 18 March which drifted W. On 19 March explosions were detected by the seismic network. During brief periods where the crater was visible, observers noted incandescence emanating from the crater and a few blocks rolling 200 m down the flank. Slight ashfall was reported in Choglontus (8 km SW), Manzano (8 km SW), and Penipe (15 km SW) the next morning. 2012 FEB- 15 MAR- 19? IG reported continuing activity at Tungurahua during 15-21 February. Increased seismicity and constant harmonic tremor were detected on 16 February. Based on information from the Guayaquil MWO and IG, the Washington VAAC reported that during 17-18 February emissions rose to an altitude of 6 km (19, 500 ft) a.s.l. IG also noted that a steam plume with small amounts of ash drifted WSW on 19 February and W on 21 February. 2012 FEB- 04 JAN- 07? 2011 NOV- 24 JAN- 24-2012? IG reported moderate seismic activity at Tungurahua during 28 December-3 January. On 31 December small steam emissions were observed, and on 3 January a gas-and-steam plume rose 200 m above the crater. Ash-fall from last week's explosions accumulated to a depth of 2-4 mm in villages to the SW.
2011 AUG- 01 AUG- 14? INGEOMINAS reported that during 15-21 May seismicity at Galeras was at a low level; during 19-20 May earthquakes with magnitudes 2.6 or less were concentrated in an area 3 km SW at depths near 4 km. Gas plumes rose 500 m above the crater and contained small amounts of ash during 15-16 and 20-21 May. Sulfur dioxide emissions were low. The Alert Level remained at III (Yellow; "changes in the behavior of volcanic activity"). 2013 MAY- 15 MAY- 22? 2013 APRIL 10 APR- 23? INGEOMINAS reported that during 10-16 April earthquakes at Galeras were located in various areas as far as 13 km from the crater, at depths no greater than 14 km and with maximum magnitudes of 2. Moderate levels of sulfur dioxide were detected; plumes drifted NW. Cameras recorded ash emissions all week, especially on 9, 11, 12, and 14 April, when pulsating activity produced plumes that drifted W. Plumes rose no more than 1 km above the crater. The Alert Level remained at III (Yellow; "changes in the behavior of volcanic activity"). 2012 SEPTEMBER- 18 NOV- 07? INGEOMINAS reported that during 18-22 and 24-25 September cameras around Galeras recorded emissions that were mostly water vapor. On 18 and 24 September the emissions contained ash. An earthquake swarm detected on 25 September was characterized by events less than M 1 that occurred 2 km W of the crater at depths near 3 km. The Alert Level remained at III (Yellow; "changes in the behavior of volcanic activity"). INGEOMINAS reported that during 8-14 August seismicity at Galeras continued to be elevated. Some of the earthquakes were located near the active cone, with magnitudes less than 1 and depths not exceeding 2 km. During 7-9 and 11 August gas-and-ash plumes rose 0.9-1.3 km above the crater and drifted W and S. Sulfur dioxide emissions fluctuated between moderate and high levels. The Alert Level remained at III (Yellow; "changes in the behavior of volcanic activity"). INGEOMINAS reported that during 31 July-6 August the magnitude and occurrence of earthquakes detected at Galeras had increased since the previous week. Gas plumes sometimes containing tephra rose from the crater. Observatory staff working near the crater reported a strong sulfur odor on 1 and 6 August. On 3 August a steam plume rose 1.1 km above the crater. On 4 August ash emissions were observed in the morning, and at 1519 a seven-minute-long episode of tremor was accompanied by a gas-and-ash plume that rose 1.4 km above the crater and drifted N. Ashfall was reported in Genoy, 6 km NE. An ash plume rose from the crater on 7 August. The Alert Level remained at III (Yellow; "changes in the behavior of volcanic activity"). 2012 JULY- 18 JULY- 24? INGEOMINAS reported that during 18-24 July earthquakes at Galeras were less than M 1.3 and located at depths not exceeding 3 km. Gas emissions, observed by a network of video cameras, contained ash almost daily. Sulfur dioxide levels fluctuated. On 18 July observatory staff working near the crater reported a strong sulfur odor and fine ash falling on the upper N flank. Ashfall was also reported to the N in the Quebrada Maragato area (municipality of Nariño). The Alert Level remained at III (Yellow; "changes in the behavior of volcanic activity"). INGEOMINAS reported that on 17 May ash emissions originating from an area N and W of the cone within Galeras's main crater rose 200 m above the crater rim. During 26-27 May ash plumes rose 800 m above the crater; ashfall was reported in Sandona (13 km NW). Ash emissions occurred on 2 June, and on 5 June plumes rose 1 km and drifted W. The Alert Level remained at III (Yellow; "changes in the behavior of volcanic activity"). 2011 NOV- 24 JAN- 10? INGEOMINAS reported that low-level activity continued at Galeras during 4-10 January, with steam rising from the main crater and two craters to the N and SW (Paisita and Chavas, respectively). The Alert Level remained at III (Yellow; "changes in the behavior of volcanic activity"). According to INGEOMINAS, the Observatorio de Pasto reported that during 25-31 July seismic signals related to movement of fluid decreased compared to the previous week; earthquake swarms were detected on 26, 27, 29, and 30 July. The number and magnitude of earthquakes generated by fracturing rock increased. Four of the events were located SW of the volcano at a depth of 10 km, and less than M 2.1. Weather conditions prevented observations of the volcano. The Alert Level remained at III (Yellow; "changes in the behavior of volcanic activity"). IGP's Observatorio Volcanologico de Arequipa (IGP-OVA) and Observatorio Vulcanológico del INGEMMET (OVI) reported that during 7-12 May gas-and-ash plumes, sometimes with only minor amounts of ash, rose 0.6-3 km above the crater. Ash fell in various towns downwind of the plumes including Querapi (4 km S), Ubinas (6.5 km SSE), Escacha, Anascapa, San Miguel, and Tonohaya. Significant ashfall was reported in Santa Rosa de Phara on 8 May. IGP's Observatorio Volcanologico de Arequipa (IGP-OVA) and Observatorio Vulcanológico del INGEMMET (OVI) reported that during 30 April-1 May seismic activity at Ubinas increased significantly, and then declined through 6 May. Explosions generated ash plumes that rose 0.2-3 km above the crater and drifted in multiple directions, especially to the S, SE, E, and NE. Ash fell in various towns downwind of the plumes including Querapi (4 km S), Ubinas (6.5 km SSE), Escacha, Anascapa, San Miguel, and Lloque. On 4 May minor amounts of ash fell throughout the Ubinas valley, more than 15 km away. Although sulfur dioxide emissions had been declining since the peak on 15 April (4,873 tons per day) they continued to be high at more than 1,000 tons per day; villages downwind reported strong sulfur odors. IGP reported that during 26 February-4 March activity at Ubinas was characterized as low to moderate; seismicity fluctuated but remained low. Volcanologists visited the crater during 1-2 March and observed a new elongated body of incandescent lava that was 30-40 m long and emitted bluish gas. The Buenos Aires VAAC reported that although a pilot reported an ash plume drifting NE at an altitude of 8.8 km (29,000 ft) a.s.l. on 7 March, there was no indication of ash in satellite images. On 10 March a narrow and diffuse plume possibly containing ash was detected in satellite images drifting SW. Clear images the next day showed no ash present. 2014 JAN 08 FEB 18? IGP reported that two earthquake swarms at Ubinas were detected: the first during 8-9 January and the second on 25 January. An emission was observed on 23 January. Seismicity increased again during 30-31 January. 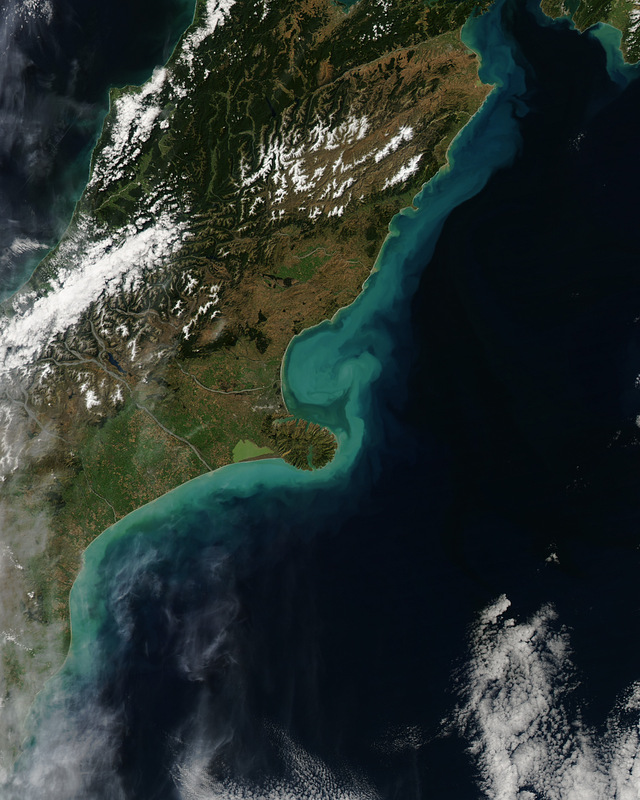 The Buenos Aires VAAC reported that, although a pilot reported an ash plume on 2 February, there was no ash detected in satellite images. The next day a pilot observed steam emissions with small amounts of ash; satellite images confirmed the presence of ash. 2013 Oct- 22 OCT- 29? IGP reported that a 2-minute-long non-explosive seismic signal indicated gas-and-ash emissions at Ubinas on 22 October. 2013 SEP 01 SEP- 10? IGP reported six phreatic explosions from Ubinas during 1-3 September. The series of explosions decreased in both energy and length of the tremor signal associated with each explosion; tremor lasted 75 minutes for the first explosion and 5-10 minutes for the last one. Most of the explosions generated ash plumes that rose 1.5-2 km above the crater. The first explosion occurred at 2246 on 1 September, lasted 110 seconds, ejected ballistics up to 2 m in diameter, and caused ashfall 2 km ENE. The second explosion, at 1552 on 2 September, lasted 292 seconds and ejected fewer ballistics. Details for the 3rd through the 6th explosions are as follows: the 3rd occurred at 2350 on 2 September and lasted 279 seconds; the 4th occurred at 0809 on 3 September and lasted 296 seconds; the 5th occurred at 1021 on 3 September and lasted 288 seconds; the 6th occurred at 1029 on 3 September and lasted 74 seconds. 2013 JULY- 04 JULY- 16? The Buenos Aires VAAC reported that, although a pilot reported an ash plume from Ubinas rising to an altitude of 5.5 km (18,000 ft) a.s.l. and drifting W on 4 July, there was no ash detected in clear satellite images. ABOUT EL MISTI: (Geologic Summary by global volcanism program/ Smithsonian inst. ): El Misti, Peru's most well-known volcano, is a symmetrical andesitic stratovolcano with nested summit craters that towers above the city of Arequipa. The modern symmetrical cone, constructed within a small 1.5 x 2 km wide summit caldera that formed between about 13,700 and 11,300 years ago, caps older Pleistocene volcanoes that underwent caldera collapse about 50,000 years ago. A large scoria cone has grown with the 830-m-wide outer summit crater of El Misti. At least 20 tephra-fall deposits and numerous pyroclastic-flow deposits have been documented during the past 50,000 years, including a pyroclastic flow that traveled 12 km to the south about 2000 years ago. El Misti's most recent activity has been dominantly pyroclastic, and strong winds have formed a parabolic dune field of volcanic ash extending up to 20 km downwind. An eruption in the 15th century affected Inca inhabitants living near the volcano. Some reports of historical eruptions may represent increased fumarolic activity. Instituto Geofísico del Perú (IGP) reported that seismicity at El Misti increased during January, and a seismic swarm consisting of 119 volcano-tectonic events was detected during 14-15 January. Despite the increase, activity remained at a low level. 2014 JAN 14 Jan 22? 2013 MAY- 10 May- 14? 2012 SEP- 09 Sep- 11? According to INGEOMINAS, Observatory Vulcanológico and Sismológico de Manizales reported that at 0732 on 9 September a M 3.6 volcano-tectonic earthquake occurred below the main lava dome at Cerro Machín at a depth of 3.2 km, and was felt by nearby residents. The Alert Level remained at III (Yellow; "changes in the behavior of volcanic activity"). Boletín semanal de actividad del Volcán Cerro Machín,del 21 al 27 de Mayo de 2012 Asunto: Boletín Nivel de Actividad del Volcán Cerro Machín. NIVEL AMARILLO (III): CAMBIOS EN EL COMPORTAMIENTO DE LA ACTIVIDAD VOLCÁNICA Con respecto al seguimiento de la actividad del Volcán Cerro Machín, el OBSERVATORIO VULCANOLÓGICO Y SISMOLÓGICO DE MANIZALES, informa que: En la última semana el Volcán Cerro Machín continuó registrando sismicidad de muy baja energía, asociada a fracturamiento de roca dentro del edificio volcánico, localizada al sur y al suroriente del domo principal, a profundidades que oscilaron entre 3 y 15 km. El sismo de mayor magnitud durante la semana fue de 0.5 en la escala de Richter, el cual corresponde a un evento registrado el día 23 de mayo a las 02:52 (Hora Local). Los demás parámetros monitoreados no han registrado cambios importantes. El SERVICIO GEOLOGICO COLOMBIANO sigue atento a la evolución del fenómeno volcánico y continuará informando de manera oportuna los cambios que se puedan presentar. Adicionalmente, recomienda visitar la página web en el siguiente enlace: http://www.ingeominas.gov.co/Manizales.aspx, donde se continuará situando información complementaria a este boletín y de interés general. According to INGEOMINAS, Observatory Vulcanológico and Sismológico de Manizales reported a period of increased seismicity from Cerro Machín on 31 December. A total of 346 volcano-tectonic events no stronger than M 2.1 were located S and SW of the main lava dome. On 1 January seismicity again increased, and at the time of the report, 367 events had been detected. The low-magnitude events were located S and SW of the main dome at depths between 2.5 and 4.5 km. The largest event, M 2.3, was located S of the dome at a depth of about 3.3 km and felt by residents near the volcano and in the municipality of Cajamarca, 14 km WSW. The Alert level remained at III (Yellow; "changes in the behavior of volcanic activity"). On 10 May Instituto Geofísico de Perú (IGP) reported that results of an interferogram of Sabancaya provided by a collaborator at Cornell University showed that an area of deformation (subsidence of 7 cm centered at 6 km NE of the crater) was coincident with the main area of seismicity. Volcano-tectonic (VT) earthquakes continued to dominate the seismic signals, although long-period (LP) events continued to be detected. There was also an increase of hybrid events. On 10 May a M 4 VT event occurred 15 km W and fumarolic activity increased, with plumes rising 1.2 km high. On 4 April Instituto Geofísico de Perú (IGP) reported that volcano-tectonic (VT) earthquakes at Sabancaya dominated the seismic signals although long-period (LP) events continued to be detected. INGEMMET reported that during 24 February-6 March fumarolic emissions from Sabancaya rose 400-1,000 m above the crater. On 27 February scientists who visited the volcano noted no ash deposits, and observed that the fumarolic emissions were comprised mostly of water vapor, carbon dioxide, and sulfur dioxide. During 28 February-5 March there were 400-500 earthquakes per day recorded, mostly volcano-tectonic events. The temperature of La Calera hot spring was unchanged from the previous year. The Alert Level remained at Yellow. 2013 FEB- 22 FEB- 26? According to news articles, INGEMMET recorded 536 earthquakes from Sabancaya, or about 20 per hour, during 22-23 February. About 80 homes were damaged by the earthquakes, causing some evacuations. A plume rose 100 m; plumes had been intermittently visible since 15 January. ABOUT SANGAY: (Geologic Summary by global volcanism program/ Smithsonian inst.): . The isolated Sangay volcano, located E of the Andean crest, is the southernmost of Ecuador's volcanoes, and its most active. It has been in frequent eruption for the past several centuries. The steep-sided, 5,230-m-high glacier-covered volcano grew within horseshoe-shaped calderas of two previous edifices, which were destroyed by collapse to the E, producing large debris avalanches that reached the Amazonian lowlands. The modern edifice dates back to at least 14,000 years ago. Sangay towers above the tropical jungle on the E side; on the other sides flat plains of ash from the volcano have been sculpted by heavy rains into steep-walled canyons up to 600 m deep. The earliest report of an historical eruption was in 1628. More or less continuous eruptions were reported from 1728 until 1916, and again from 1934 to the present. The more or less constant eruptive activity has caused frequent changes to the morphology of the summit crater complex. Based on a pilot report, the Washington VAAC reported that on 23 May an ash plume from Sangay drifted W at an altitude of 7.6 km (25,000 ft) a.s.l. Weather clouds prevented satellite image views of the plume. 2013 APR 11 APR- 30? Based on analyses of satellite imagery, the Washington VAAC reported that on 11 April an ash plume from Sangay drifted W.
2013 FEB- 22 Feb. 25? According to the Washington VAAC, on 22 February a pilot observed an ash plume from Sangay that rose to an altitude of 7.6 km (25,000 ft) a.s.l. and drifted SW. Due to cloud cover in the area, neither satellite image analysis nor the Instituto Geofísico-Escuela Politécnica Nacional (IG) could confirm an ash emission. Ash plumes were not detected in cloudy satellite image views during 23-24 February, but a thermal anomaly was detected on 24 February. 2013 JAN_ 25 JAN- 30? Based on a pilot report, analyses of satellite images, and information from the Guayaquil MWO, the Washington VAAC reported that a possible eruption from Sangay before 1210 on 25 January may have produced ash plumes. Cloud cover prevented satellite observations of emissions during 25-26 January, although a weak thermal anomaly was detected. 2012 JULY- 20 AUG- 31? According to the Washington VAAC, a pilot reported that a possible eruption from Sangay occurred prior to 1438 on 20 July. Ash was not observed in satellite imagery and a SIGMET issued for the event was later cancelled. 2012 MAY- 28 JUNE- 12? Based on a SIGMET report, the Washington VAAC reported a possible eruption and ash plume from Sangay on 28 May. A later notice stated that a pilot reported an ash plume at an altitude of 6.1 km (20,000 ft) a.s.l. Ash was not identified in satellite imagery. 2012 JAN- 23 JAN- 24? Based on information from pilots and the Guayaquil MWO, an ash plume from Sangay was reported drifting S and SE on 23 January. Ash was not detected in partly-cloudy satellite imagery. On 24 January a hotspot was visible on satellite imagery. 2012 JAN- 08 JAN- 11? Based on information from Guayaquil MWO and a pilot report, a possible ash plume from Sangay was reported on 8 January. Ash was not detected in partly-cloudy satellite imagery. 2011 NOV- 20 Nov- 22? The Washington VAAC reported that on 20 November an ash plume from a possible eruption at Sangay was observed by a pilot and drifted at an altitude of 5.9 km (19,500 ft) a.s.l. Ash was not detected in partly-cloudy satellite imagery. Based on information from the Guayaquil MWO and a pilot observation, the Washington VAAC reported that on 11 October an ash plume from Sangay from a possible eruption rose to an altitude of 6.7 km (22,000 ft) a.s.l. and drifted W. Ash was not observed in satellite imagery. Based on a pilot observation, the Washington VAAC reported that on 20 January an ash plume from Sangay rose to an altitude of 7.6 km (25,000 ft) a.s.l. Ash was not detected in satellite imagery. CENTRAL AMERICAS RECORD OF HEAVY EARTHQUAKES Nr 1.